Provide comfort for the family of Patricia Boyer with a meaningful gesture of sympathy. Patricia A. Boyer 68, of Ashland has been called home. 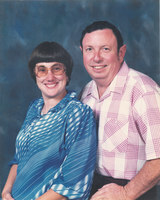 She was born in Elyria on April 29, 1950 to the late Clarence W. and Ruth (Shore) Schroeder, moving to Ashland in 1976. She had attended Ashland Grace Brethren Church and was a member of the Lighthouse Adult Bible Fellowship. She had retired from Bookmasters accounts payable department. Pat volunteered her time in several areas which included Cub Scout Troop 513 of Nankin, Ohio, Laubach Learning, teaching reading skills to adults unable to read, Past President of Samaritan Hospital Auxiliary and has been honored by the Women of Achievement, Hope Award. She was also a life member of Girl Scouts being involved in several areas. She continued her volunteer work through the philanthropy of several fraternal organizations. She was a Past Grand Royal Matron of the Grand Court of Ohio, Order of the Amaranth. She was also a member of Royal Court # 42, O of A of Ashland, Naomi Shrine #10 White Shrine of Jerusalem in Mansfield, and Lyndon Chapter #361, of LaGrange, Order of the Eastern Star. On January 18, 1985 she was married to Lawrence Harry Boyer who preceded her in death on October 10, 2010. She is survived by one daughter, Holly (Robert) Fullmer of Ashland, Two sons, Scott Motter on Mansfield and Matthew Crozier of Loudonville; Two step sons, David (Jennie) Boyer and Michael (Vicky) Boyer both of Ashland. Seven Grandchildren, Lillian Motter, Ashley (Aaron) Starcher, Dillan Crozier, Brock Crozier, Tiffany Campbell, Aaron Fullmer and Samantha Fullmer; three step grandchildren, Kaitlyn (Jeffrey) Moore, Rachel (Riley) Gott and Andrew (Melissa) Nell. Six great grandchildren, Aryabella Starcher, Hayley and Ashley Nell, Annabeth Henthorn, William and Abigail Moore. Pat was preceded in death by her parents, her husband L. Harry Boyer and one step grandson, Bradley Boyer. Funeral services will be held Tuesday March19, 2019 at 11:00 a.m. at the Denbow-Gasche Funeral Home with Pastor Jon Hall officiating. Burial will be in the Nankin Cemetery. The family will receive friends on Monday, March 18, from 5:00 to 7:00 p.m. at the funeral home. The Grand Court of Ohio Order of the Amaranth will conduct Memorial Services at 7:00 p.m. Monday evening also at the funeral home. The family suggests that memorial contributions may be made to the Ashland County Cancer Association, 1011 East Main St. Suite B, Ashland, Ohio 44805, or to the American Diabetes Association for Research, PO Box 11454, Alexandria, VA 22312. To send flowers in memory of Patricia A. Boyer, please visit our Heartfelt Sympathies Store. The Grand Court of Ohio Order of the Amaranth will conduct Memorial Services at 7:00 p.m. Monday evening also at the funeral home. Provide comfort for the family of Patricia A. Boyer by sending flowers. Sorry for your loss Prayers that God will guide the holy spirit with the good memories. Bless your families.